“The $7.12 rate would come on top of a Jan. 1 increase of $18.48, on average, for CL&P residential customers,” Linares said. “Regardless of whether rates are hiked on Wednesday, December 17, Sen. Linares urged residents to continue to email state regulators at: PURA.ExecutiveSecretary@ct.gov to express their concerns about rising costs,” Linares said in a press statement. 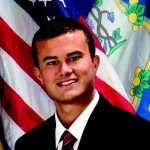 Senator Linares also urged residents to sign his online petition at www.senatorlinares.com in opposition to Connecticut Light & Power proposed rate hike, regardless of the Commission’s actions on December 17.